Hahn Tran has captured the 2018 World Series of Poker Event #29: $1,500 Limit 2-7 Lowball Triple Draw title and his first gold bracelet after topping a field of 356 entries. 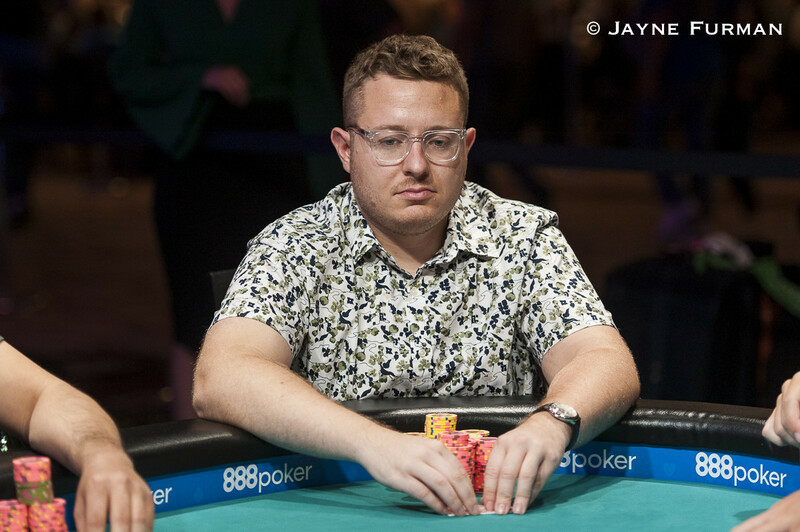 Tran defeated Oscar Johansson heads-up after navigating a star-studded final table that included the likes of Brian Hastings, Jared Bleznick, and David Prociak. Hailing from Austria, Tran entered the final day with the chip lead, but a roller coaster of a day saw the lead exchanged an incredible amount of times. According to the WSOP stats page, this is only Tran's second cash at the series, his first coming, conveniently, in this very event back in 2014 where Tran placed 18th. Looking at Tran's Hendon Mob page tells a different story, though, with $373,690 in career earnings on his resume. “I was really confident heads-up," stated Tran after the victory. "Oscar ran really good at the beginning, but I’m happy to fight my way back and fight back all the way and take it down. I knew from the beginning just to take my time. As you can see, I was waiting for my spot, didn’t play that many hands. Just waited. Any time I got in, I was mostly a favorite." “I’ve come here for eight years but I don’t play many tournaments, I’m more of a cash game player. I play cash games in 2-7 and I’m very excited. This is one of my favorite games. Day 3 kicked off with seven players chasing the bracelet and it took less than half a level to reach the official final table. After losing a chunk of his stack in a massive four-way pot that Johansson scooped, Jared Bleznick found himself all in and at risk soon after against the Swede. Both players stood pat after the second draw and Bleznick ran an eighty-six into a number two (a seven-six-four-three-deuce) to fall in seventh. Yong Wang was the next to depart. 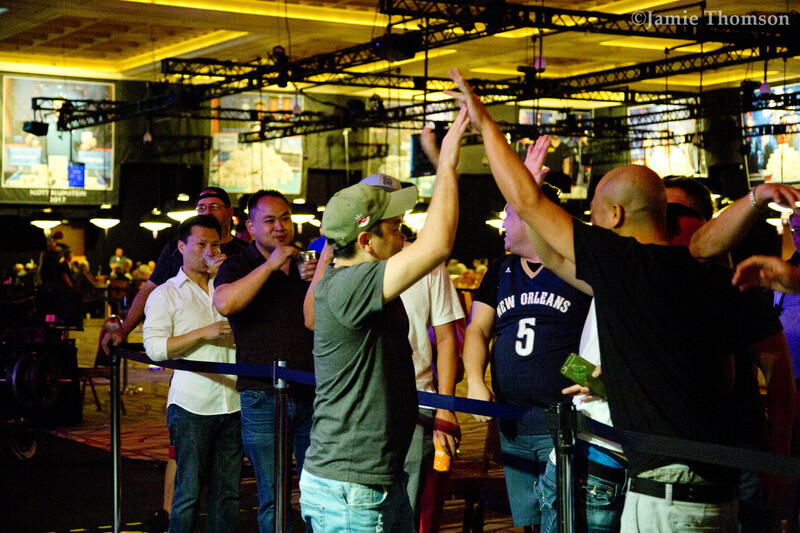 Wang entered as the shortest stack and was able to climb one rung on the ladder before running an eighty-seven into David Prociak's number two. The table was able to breathe a sigh of relief when the most accomplished player at the table was eliminated in fifth. 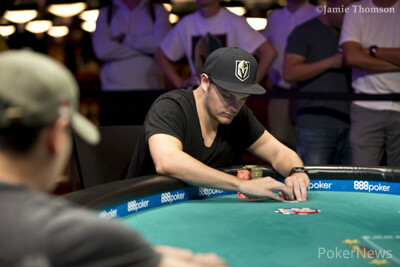 Brian Hastings certainly was the headliner of the event but was unable to gain any traction at the final table. Hastings lost four straight pots he got involved in during the second level of the day when he couldn't find any luck in the draw. Hasting ultimately fell in a three-way pot with Prociak and Johansson where Prociak made the roughest seven. All Hastings could muster was a ten and he was gone in fifth. 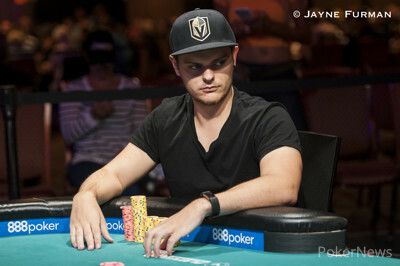 The chip lead was in the hands of all four players at some point before they started to drift apart.Cody Wagner began to slide the most, and after the blinds went up in Level 24, Wagner was left with just four big bets. The United Kingdom native got it in against Prociak and made an eight perfect, but Proziack drew to a number three (seven-six-five-three-deuce) and Wagner fell in fourth. More than three hours of play went by three-handed before the blinds finally caught up to Prociak. With all the chips sitting in front of Johansson, the Swede made an easy call with Prociak all in for just two big bets. Prociak was ahead until the second draw but with Johansson drawing one, Prociak patted a ninety-eight, but Johansson caught up and made an eighty-five to win the hand. Johansson began heads-up play with a massive chip lead, out-stacking Tran by more than an eight-to-one margin. Tran was not intimidated, though, and in no time had taken over the chip lead. That would be the last time the lead changed hands as Tran whittled Johansson down. On the final hand, Johansson was down to just three big bets and got it in after the second draw. Tran was already pat and Johansson patted as well. Johansson tabled a ninety-eight but Tran was waiting with a ninety-six and that was it. With this event in the books, the PokerNews 2018 WSOP coverage continues. Stay tuned to the live-reporting blog for all the latest news, updates, and sweats. Hanh Tran opened and Oscar Johansson called in the big blind. Both players drew two and Johansson bet. Tran raised and Johansson called. Johansson drew one and Tran stood pat. Johansson checked and Tran bet. Johansson called for less, putting himself at risk and both players stood pat. Johansson threw down a , but Tran was waiting to showdown a and that was it. 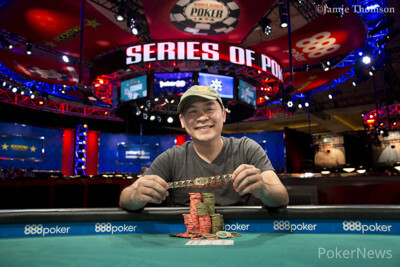 Johansson collected $72,471 for his runner-up finish while Tran takes home the gold bracelet and $117,282. On second draw, both players drew one and Oscar Johansson check-called a bet from Hanh Tran. Johansson drew one on the end with Tran standing pat. Johansson check-folded and Tran showed a queen low. Then after Tran opened and Johansson called, Johansson drew three and Tran just one. Johansson check-called a bet and both players drew one. This time Johansson bet and Tran called. Both players stood pat and Johansson check-folded to a bet to leave him with just over three big bets. Oscar Johansson drew two and Hanh Tran drew three. Johansson bet and Tran called. Both players drew one and checked. Both players drew one and Johansson checked. 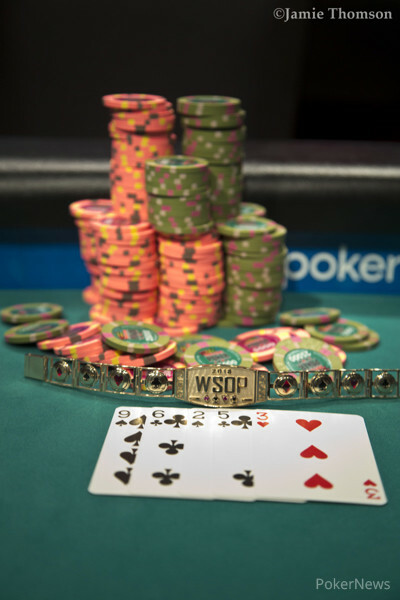 Tran bet and Johansson had the calling chips in his had, and moved them toward the pot. "Ninety-seven," announced Tran, before the chips hit the felt, and Johansson mucked. The floor was called and it was ruled that Johansson was allowed to fold. "Oh," said Tran. "I have a pair of fives...just kidding." He took down the pot and extended his chip lead heads up. Hanh Tran opened on the button and Oscar Johansson called. Johansson drew three and Tran swapped one. Johansson check-called and drew one while Tran stood pat. Both players checked and then both stood pat. Both checked again and Johansson's ninety-seven was better than Tran's ninety-eight. Oscar Johansson drew one and Hanh Tran drew three. Johansson bet and Tran called. Johansson stood pat and Tran drew two. Johansson bet and Tran called. Johansson stood pat and Tran took one. Johansson checked and Tran bet. Johansson called. Tran turned over , beating the of Johansson. A short while later, both players drew two and Tran bet and Johansson called. Both players then drew one and checked. Johansson drew one and Tran stood pat. Johansson check-folded, moving Tran further into the lead. Oscar Johansson opened and Hanh Tran called. Johansson drew three and Tran drew one. Tran check-raised a bet from Johansson and Johansson made it three bets. Tran called. Tran drew one and Johansson stood pat. Tran check-called another bet and stood pat. Johansson broke and drew two and both players checked. Tran tabled a and Johansson mucked. Who Will End Up on Top in the $1,500 Triple Draw?